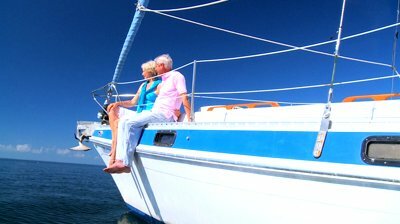 Yacht Charter discounts worldwide. If you are looking for a cheap, last minute, discounted bareboat yacht charter holiday bargain we offer all the best special offers, from the leading charter companies. When it comes to the notion of true relaxation, many of us dream of achieving that perfect disconnection from the routine of daily life. It feels strange not to check our emails and get on the phone with clients and colleagues. But, in today’s world of technology, many busy executives also understand the need to leave the screens behind and enjoy the natural surroundings. It can also be vastly therapeutic to slip away from stressful family issues. A short break from bickering and regular annoyances (and the nagging!) can help us cope with these influences in a much more positive way upon return. If you’re craving that feeling of freedom, you likely know that there are few places that serve as the ultimate getaway. Hotels, even luxury resorts, offer free in-room Wi-Fi, making it difficult to resist switching on your laptop. They also make it easy to be reached by any and everyone who knows your room number and simply ‘must’ get in touch. Out on the water, the gentle rocking of the waves and salty sea air create a refreshing ambiance. Thankfully, there’s no wireless internet signal to be found, and cell phone reception is limited. Aside from necessary communication equipment for nautical safety, you are relatively cut off from the hustle and bustle. On a sailing vacation you can create the environment of your choice; you choose who you want to share this peaceful experience with. Some go with a group of guys, some ice cold beers and extra sunblock. Others choose to use their precious vacation hours to nurture their romantic relationships or even rekindle an old flame. The endless blue horizon is the romantic backdrop that dreams are made of. A sailing vacation from Latesail has the power to renew your vital energy, and our prices can’t be beat. Contact Latesail today and start planning your escape. Where will your Yacht Holiday take you?